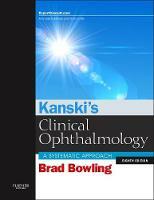 Kanski's Clinical Ophthalmology: A Systematic Approach is the classic specialty text providing the perfect ophthalmology foundation for trainees through to experienced practitioners. The famous visually dynamic and succinct format enables easy comprehension and focused guidance in the diagnosis and management of ophthalmic disorders. ...must-have comprehensive reference for any general ophthalmic practice. Reviewed by Doody's Review Service, Sept 2015 ...outstanding and excellent textbook. Reviewed by glycosmedia.com, July 2015 Whether you're learning ophthalmology for the first time, preparing for OKAP/board exams, or trying to remember some detail years down the road to help one of your patients, this text is a fantastic reference. 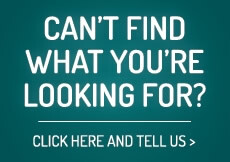 Blog: Ophthalmologyreview, Nov 2015 Build the ultimate foundation in ophthalmology with this market-leading resource. Benefit from guidance on examination, imaging, and the recognition of systemic conditions associated with ocular disease. Completely revised by award-winning ophthalmic educator Brad Bowling, the eighth edition reflects the latest advances, making this an indispensable resource to enhance learning, aid exam preparation and guide clinical practice. Designed for rapid reference and efficient recall, the concise but comprehensive chapters use crisp targeted text, bulleted lists, tables and visual aids to highlight salient points across all ophthalmology subspecialties. Features detailed updates on key evolving topics such as the spectrum of macular disease, with many new disorders added to this edition across a range of subspecialties. Increased emphasis on practical investigation and management. Includes 2,600 illustrations, images and artworks, with over 900 brand new for this edition, including ultra wide-field imaging, fundus autofluorescence, and high-resolution OCT. Expert Consult eBook version included with purchase. This enhanced eBook experience allows you to search all of the text, figures, and tables from the book on a variety of devices. Kanski & Bowling deliver everything you need to know about ophthalmology today in a multimedia format that ensures efficient, effective recall.